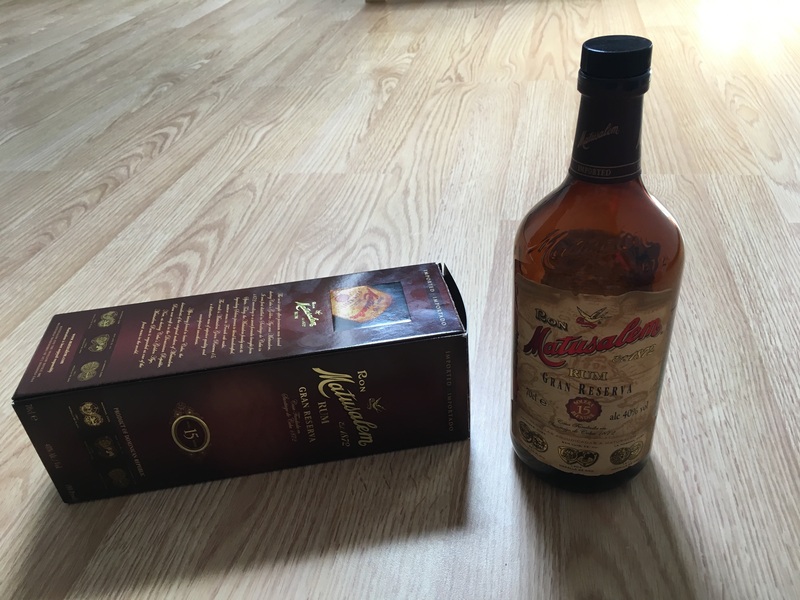 Have you found an online vendor selling Matusalem Gran Reserva 15-Year? 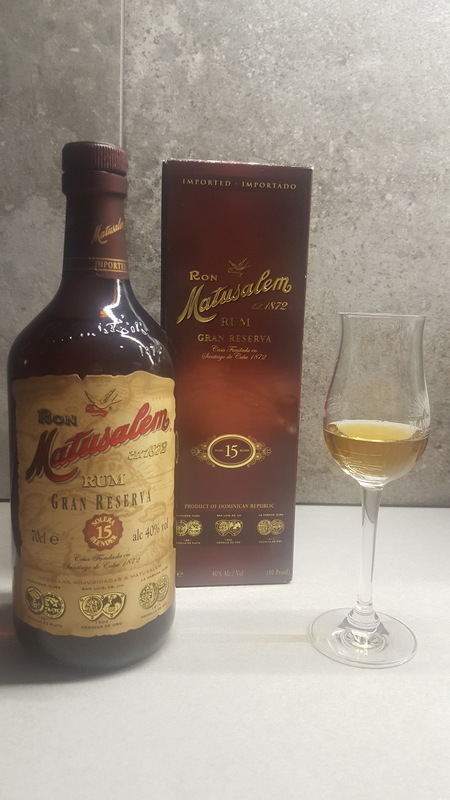 Matusalem Gran Reserva 15-year rum is produced using a combination of rums aged on average 15 years and distilled from molasses using the solera process. The Matusalem company was established in 1872 originally in Santiago de Cuba. The company fled the country following the Cuban Revolution in 1959 and the Gran Reserva rum is now produced in the Dominican Republic. This one was a disapointment for me.. A bit overrated from my friends. The taste is to much ethanol for me.. And to thin. It almost feels like somebody thinned it out with pure alcohol. It tasted good in cola but for the hefty price i would prefer to drink it as a zipping rum. One of my favorite things about Matusalem is how they enjoy reminding us of their great history, which begin in Cuba. They have awesome ads and really do a good job of getting you excited. Now, we all know, when these rum companies spend millions of dollars on advertising, that they are trying to over compensate for their lack of complexity / taste or they want us to know that their brand is for making frozen cocktails. Matusalem is a stupendous, refined rum that is slightly above average sipper and mixer. It's beautiful in everyday - beautiful bottle, color, smell - but to be honest, I've used it more to spice up ice cream, milkshakes and cake, than make a cocktail out of it. At about $35 a pop, I'd personally still buy it because it's one of a kind: smooth, light, fragrant. I would recommend trying it as a digestif, instead of the typical port wine. But hey, if I could, I would replace every beverage with rum. Too long ago to quite remember it, but I think it had too much of an ethanolic taste to me. A little on the sweeter side but smooth and enjoyable to sip neat. I look forward to trying Matusalem's older siblings! If they are anywhere as good as the 15 year, I will be very pleased and impressed. Great representation of how tasty and popular rums hailing from the Dominican Republic really are! Rum this complex should not be mixed and watered down, especially when their is a plethora of rums on the market geared towards mixing and at half the price or better. If you're a fan of lighter bodied, yet deep, oaky tastes, this is imo the best dark rum/cost there is. Either poured on rocks or with a splash to 1:1 ratio with Coke, this rum defines the dark rum genre for me. Very tasty caramel/sugarcane front with a hefty rum burn to follow up. Delectable aftertaste leaves the palate asking for more. A must have in a collection. If this rum was a sound, imagine going into a small room with dirty beige walls. You scream from the top of your lungs, and you expect the sound to reverberate and echo. But nothing. No echo. The sound stops when you stop. And that's it. That's this rum. It doesn't make a dent anywhere. You definitely get hold of the toffee and creamy aroma which reminds of dark chocolate bar. Hint of smokiness and oaky. Sweet spices once you sip in, creamy milk chocolate, light citrus mouth feel. Sort of reminds me of the sweetness of cognac. Silky and medium finishing. Lightly smoked with dried apricot aftertaste. I enjoy the smooth, sweet flavour of Matusalem. It seems to be quite underrated by most, it is not the most aromatic or filled with varying flavours as other rum of the same quality but it packs a nice taste with little bite. This is a good rum. I see lots of bad reviews, but for a 15yr rum this is nice. Drink it straight, mix it. Sip it. It works for everything. With that ambiguous age statement you straight away know that this rum is all about appearances and marketing. Sure the average age of the rums used is 15 years but what about the quantities? It is very cuban, light, sweet, lots of caramel, a bit boozy and a bit watery. Good as a mixer and fine if nothing else on hand but not your first choice. Toto je rum, ktorý nejako nenadchne, ani väčšinu neurazí. Podľa mňa ale veľmi priemerné pitie, tvorcovia sa mohli viac vyhrať. Na prvý nádych, typická rumová, ale málo výrazná, nie príliž zaujímavá vôňa. Skrátka plochá. Môžete zacítiť stopy vanilky, hrozienok, citrusov. Vyvážené, ale nevýrazné. Pokiaľ rum nenecháte dlhšie postáť v pohári, po prvom ochutnaní zacítite veľa alkoholu, ktorý sa postupne vytráca. Mierne nasladlý na jazyku, postupne zhorkne, dlhší záver. Na to, aký má Matusalem silný marketing, rum je len priemerný. Ale s Colou a limetkou je v poriadku...=) Ani 23jka nie je nic extra. Ale to zas inokedy. I don't get a huge nose, nice and even - almost basic. Taste is very mild, not much spice, smooth, butterscotch, oaky. Long tingly finish is nice. Great for beginners who like whiskey, little boring for more advanced. Sehr elegant und weich in der Nase, Karamell und Toffee. wirkt ein wenig zu rund geschliffen aber super lecker ! Ein Ron für Jeden und alle Tage ! Very elegant and soft in the nose, caramel and toffee. Looks a little too round but super delicious! A Ron for everyone and every day ! 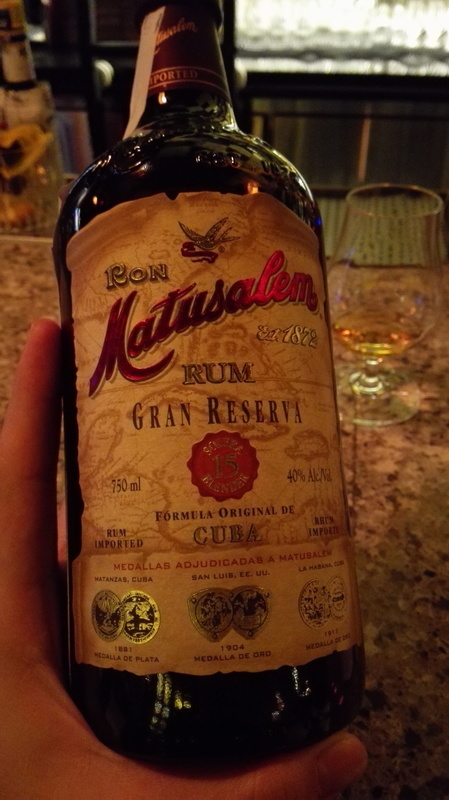 Tried this rum at Paladar Latin Kitchen and Rum Bar, which has several locations in the US. I found the rum quite enjoyable and would not hesitate to purchase a bottle if I find it in PA. Somewhat sweet and quite smooth. Aceptable, aunque considerando añejamiento y precio, hay opciones muy superiores. Sabor y aroma fuertes. It's important to know that this was the first rum produced to be a sipper. The first rum to use solera aging system, previously used only in sherry and spanish brandy making. This is an icon, a symbol of what rum is. Can we find something better at the 30€ price? Yes we can. But this is still a very good rum, balanced, nothing extraordinary but a flawless spirit. Il n'est pas mauvais....mais pas aussi bon que le nom ou la bouteille le laisse supposer. Au nez on retrouve, comme pour beaucoup d'autres, des notes de vanille et avec un peu d'originalité des notes de noyau. En bouche rien d'extraordinaire, le feu de l'alcool gâche un peu le plaisir. Au final on s’ennuie... comme avec le Botran 15 ans. I think you can get much nicer rum for this price. Haven't provide anything what would catch my attention in this bottle. By saying this I don't want to sound like this is some garbage, still decent rum, just you can get better. Very nice rum. Sweet and litle bit spicy. This is very good party rum for me.